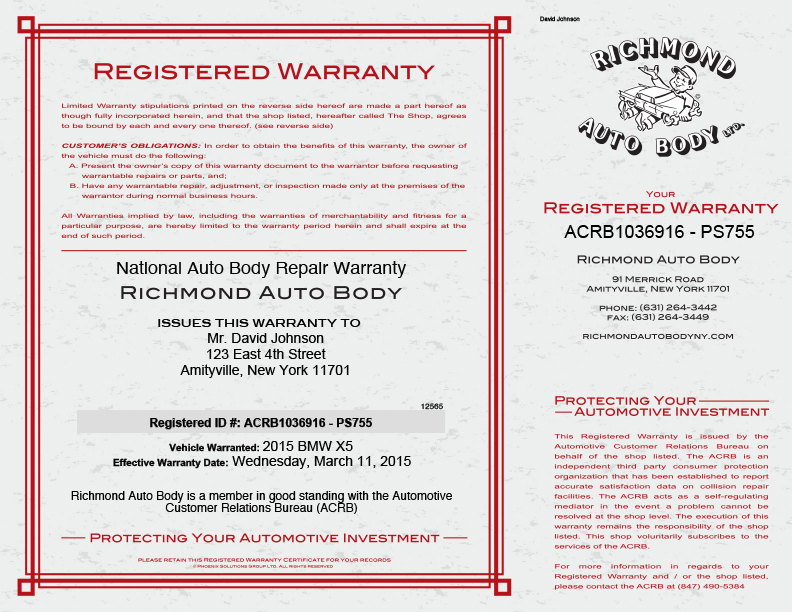 ichmond Auto Body, in Amityville NY, keeps its auto body shop looking clean and professional. 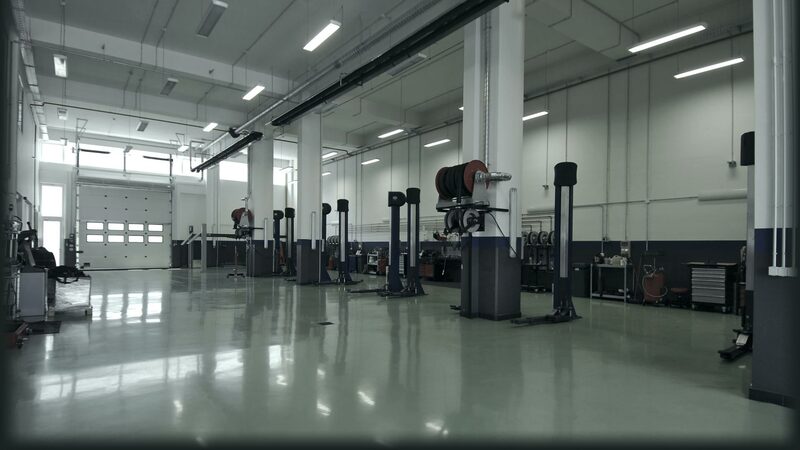 Our auto body facility features a well-lit and comfortable customer greeting area; and has a keen focus on customer service, including pick-up and drop-off services. Our auto body shop currently performs around 200 collision repairs per month, with the capacity to do more. 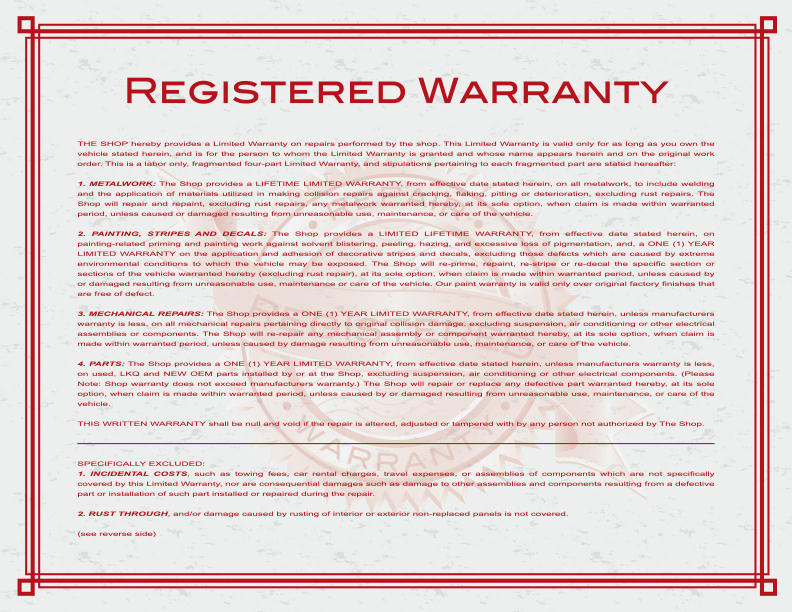 We offer a hassle-free warranty on all auto body repairs for as long as you own the vehicle. If you aren't happy, we aren't happy - we strive for the best. Our Amityville NY auto body shop's goal is to make the collision repair process, from start to finish, a pleasant and simple experience for you, our customers. While many collision centers can fix a fender, we can solve all your accident needs. Our body shop distinguishes itself among the competition by providing a friendly environment, helpful service, and our quick and high quality auto body repairs. Many of our clients are repeat customers or are referred by our satisfied customers. If you are looking for a full service auto body collision repair facility with a professional image and focus on customer satisfaction, stop by our Long Island Auto Body Shop today and find out why Richmond Auto Body is a different kind of collision repair facility. We have provided high-quality auto body repairs to Amityville, Massapequa, Lindenhurst, Copiague, Babylon, Levittown and the rest of the Long Island NY area since 1951. © Richmond Auto Body & Paint, Ltd. All rights reserved.